When Dad was diagnosed with colorectal cancer, a thought that came to my mind was if cancer was genetic. Is it possible that it lies in my family? I tried tracing back to up to 3-4 generations on how they passed away, yet could come to no definitive conclusion. The Onco at Manipal hospital clarified to me that it is possible to inherit certain kind of cancer such as breast , ovarian cervical and probably colorectal cancer. But – cancer as such is not a heridity disease. A stronger player is lifestyle and the environment we live in which is to be blamed. Nevertheless I did read up on the subject. Changes in ones genes which is known as mutation, play a vital role in development of cancer. sometimes gene mutations go wrong causing an uncontrolled growth of cells, causing cancer. This kind of gene may be inherited or may have just developed during the course of one’s life. The percentage of cancers inherited though are only about 5% to 10% of all cancers put together. The changes which the mutation may experience apart from inheritance, could be due to lifestyle and environmental factors or just a unexpmained random cause. When is the risk high? 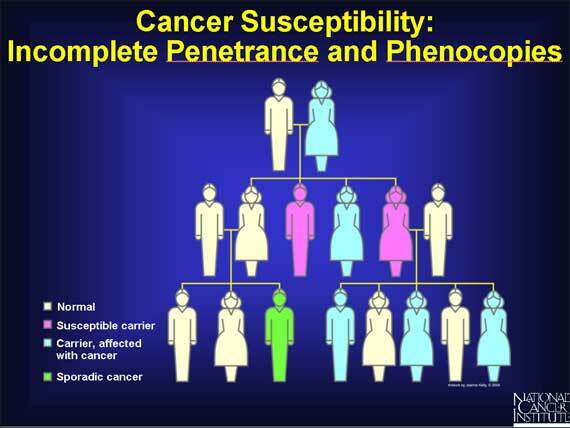 The risk is high of inheriting cancer if you have more than one close relatives with cancer. Look out for pointers such as cancer at a young age and similar kinds of cancers in the family. With genetic testing gaining popularity, many oncologists often prescribe it as a prevention mechanism. Yet the option is still not exercised to its fullest. We still have a certain mount of stigma associated with the dreadful disease- cancer. We tend to handle it only when it strikes. And by then it is way too late.